Electric Mobility's Ultra-Lite Powerchair 765 is one of our most budget-conscious choices in powered wheelchairs. If you need value for money, look no further: this model has plenty of features beyond a small price tag. 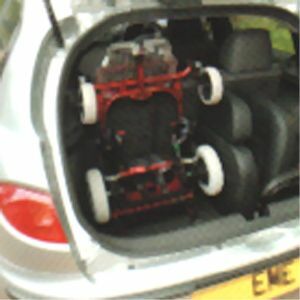 As the name suggests, the Ultra-Lite is very lightweight and easy to transport. It folds and disassembles for simple, loss-stress holidays, day trips, and even public transport. It's also low maintenance, with an easy-clean footrest, removable battery, and detachable seat- you can even take the seat off and use it as an extra-comfy deck chair! You can choose which side the controls are mounted on. Our customers love this product- click on the tab above to read the reviews. Maximum range 13km (8 miles) Range calculated under test conditions. Weight, terrain, weather and speed can affect range. 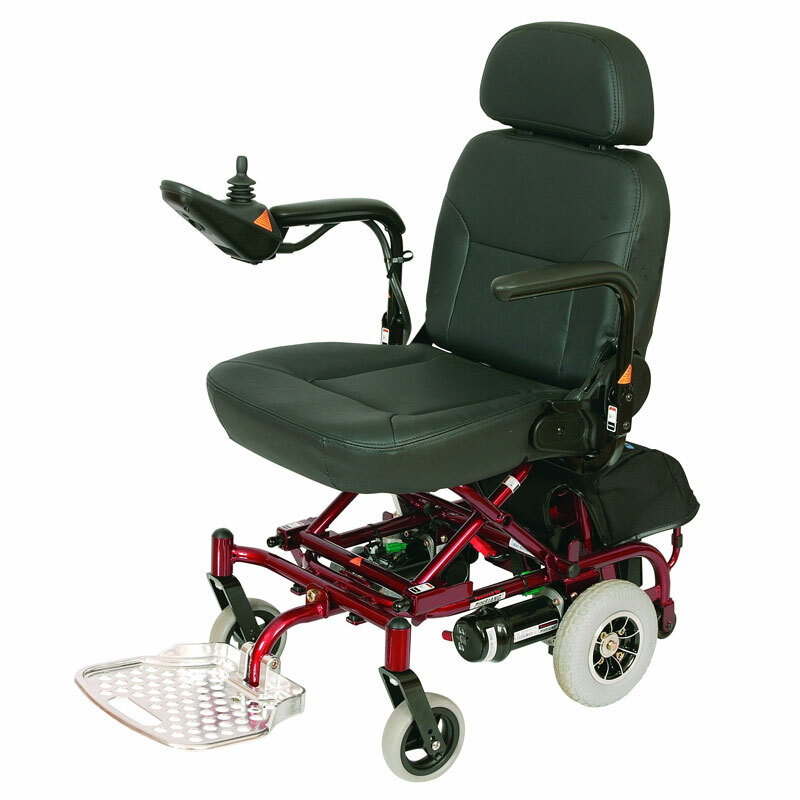 I purchased this model for my father who has only limited mobility caused by arthritic knees. We had been concerned about the size of these type of chairs in limited spaces like bedroom, toilet etc. but this one is no problem, it must be the most compact of all the models we have seen. It is a delight to control and in spite of its size acceptably comfortable. It is stable and in fact he drives it down a 1:8 incline ramp from the house and out onto his driveway to gain access to his workshop! Add to this the low price (this site being the lowest we found anywhere) and you have an ideal machine for use around the house and limited outdoor use. I forgot to add to my review that we were extremely impressed with the service from this company----helpful staff at the end of the phone and excellent delivery---ordered 11am delivered 8.30 next morning.